Intense notes of apricots & ripe peach. and exotic fruits. Ideal with white meat, salads and seafood. Floral, perfumed, hints of lychee fruit. Stylish example of a white Burgundy, buttery richness and a full flavoured finish. A seductive Sauvignon, with the aroma of gooseberries and classic gunflint flavours. A classic white burgundy, with tasty oak and pineapple flavours with delicately balanced acidity. 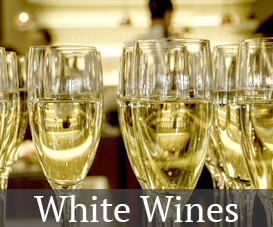 A medium bodied, flavoursome dry white wine with elegant mineral characters and ripe citrus fruit flavours. Intensity shows vibrant green tinges, concentrated lime & lemon flavours, hints of underlying spice. Not available very often, but worth getting while you can – if only to impress your friends. Tropical fruits, whiffs of citrus, aged in a combination of French & Hungarian oak barrels for 6 months. A spectacular wine. A core of vibrant orange fruit with grapefruit, herbs, rose petal & spice. This is the wine everybody is talking about, reminiscent of Cloudy Bay. Intense nose of ripe fruits, spices & roasted coffee. Round and full, well matured. Rich flavours of pepper, eucalyptus and dark berries. A well-structured wine with soft tannins. 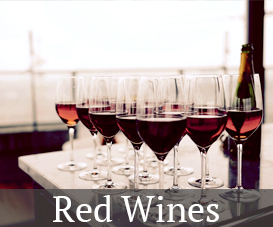 Redcurrant jam aromas, combined with mature fruit flavours, mingling with rich vanilla oak. A warm brick red colour, with a delicate cherry blossom flavour and jammy fruit leading to a slightly earthy and rustic finish. An enticingly deep-coloured, flavour packed wine. Masses of bramble and light cherry notes, with a smooth subtle finish. The secret of Maras soft velvety character is a light springtime refermentation on Amerone lees, it is then aged for 12 months in oak casks. Big meaty, herby wine with a soft, spicy dry fruit finish. Selected grapes are laid out on straw mats to dry. When pressed in January the very small amount of juice produced makes an extremely full bodied, dry and powerful wine. Lovely rich, concentrated, characterful almost rustic wine. A great warming red. Medium bodied with soft silky tannins, underlined by fine oak notes. The ideal companion to lamb, beef and strong cheeses. Probably one of Spain’s finest. This vineyard dates back to the 1400s – located in the world famous Douro Valley. Plenty of energy, red fruit, plum spice and forest floor character on the nose. Hints of cedar and liquorice with a sweet fruity palate. A warm rich approachable wine, spicy plum fruit and ripe berry flavours. The Barossa Valley is a store of old vines coupled with an extended number of grape varieties that produce ripe, fruity, modern wines. A medium, beautifully balanced wine with aromas of rose, cherries, blackberries and dark chocolate, subtle oak spices, juicy acidity and a lingering finish. Complex, with a palate of ripe plums and fruitcake, finished with subtle oak for a lingering aftertaste. The influence of sea & soil combined with slow ripening, make for a deep ruby aromatic wine. Refreshingly Crisp, light bodied and dry with a delicate aroma of gooseberries. Intense notes of apricots, ripe peach & exotic fruits. Ideal with white meat, salad & seafood. Intense tropical fruit flavours with a refreshing acidity. Pear and apple fruit with a soft richly textured finish combine to make an excellent food wine. Floral aromas & strawberry flavours, a fresh and lively rose. A wine with an attractive ‘blush’ pink colour and delicate wild strawberry flavours, balanced by a crisp citrus finish. Aromas of ripe plum with hints of spice & oak. Full, smooth and rich with classic Merlot characteristics of sweet plums, blackberries, cherries and bitter chocolate. Lots of body, lovely red and black fruits with moderate oak and candied vanilla A laid back wine. Crystal Clear. Fresh, fragrant aromas of peach, citrus and tropical fruits. Fresh and lively on the nose with good fruit and persistent length. Vibrant, crisp, zesty fruit flavours. Golden in colour, robust and well-structured with a long finish. Hints of Strawberries and raspberries on the nose following through to a full creamy palate. Well defined, subtly rounded with expressive flavours, hints of citrus and white fruits. Delicately vinous with lime and vine blossom. predominantly Pinot characteristics. Floral and soft in extreme youth, with plenty of zesty fruit and true depth. 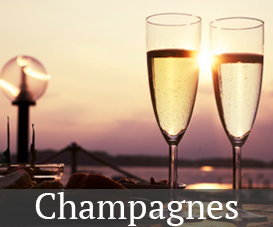 A smooth-textured Champagne, whose flavours evoke apricot, peach & vanilla. Honeyed scents of ripe pear, apple and toasted nuts. Finishes on a tangy note of orange zest. This is the world’s best-selling rose, that everyone likes to party with, from its distinctive bottle, to its rich colour and flavour.